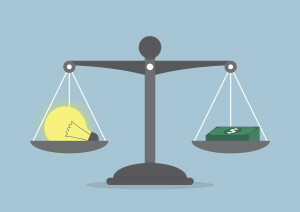 Can Founders Pay For Their Stock in Cash or Contribute Intellectual Property? Starting a business entity is a complicated issue that can be compounded by things such as founder’s stock and each founder’s respective contribution. Equity considerations can be extremely important in starting a business, especially when one founder contributes intellectual property (IP) rather than cash or labor. Awarding a company founder stock is a relatively common practice in business formation, particularly in situations in which a startup is new and not yet generating income. Doing so gives the contributing founder a measurable property interest in the newly formed entity. Typically, these stocks have a very low face value so that the founder receives a large amount of stock respective to his or her contribution. At the time of issuing founder’s stock, each founder may be capable of contributing different assets to the newly formed entity. The assets contributed can be either cash or intellectual property. In fact, it is possible for a founder to contribute both cash and intellectual property. The term “intellectual property” is very broad and includes a non-exhaustive list of assets such as business plans, novel technology, patents, trademarks, and copyrights. Because of the potential importance intellectual property may be to the entity, contributing intellectual property may be necessary. In 2012 alone, companies in intellectual property-intensive industries added five trillion dollars to, or 34.8 percent of, U.S. gross domestic product (GDP). Contributing Intellectual Property to a newly formed entity can be problematic. The majority of issues caused by contributing intellectual property deal with valuation and assignment. Founders contributing intellectual property will want to confirm that the intellectual property is properly assigned to the newly formed entity. This means that the founder will want to ensure that he or she has completely transferred the title pertaining to the intellectual property to the company. Failure to do so can cause future legal complications due to reasons such as uncertain ownership of the intellectual property. Moreover, licensing the intellectual property as opposed to assignment, results in the contributor retaining ownership. This, in turn, can affect the overall valuation of the entity. Perhaps most important to founders are the complications that can arise from the difficulty in attempting to determine the valuation of intellectual property. Since intellectual property is often a non-tangible process, technology, or idea, assigning a valuation can be difficult. Auditors may determine the value of the assigned intellectual property to differ from the original valuation. This could ultimately affect future stock pricing. After the intellectual property is transferred, all founders must collectively own the stock that comprises at least 80% of the voting power, and 80% of the total number of shares of each class of stock. Failure to adhere to these requirements will not allow the contribution of intellectual property to be considered tax free. Instead, the contribution of intellectual property will be taxed as if this transaction was a sale to the entity. If you are considering contributing intellectual property to a newly formed entity in exchange for stock, you should consult an attorney to ensure that your contribution is done correctly so as to best benefit you and the entity to which you are contributing. The lawyers of Structure Law Group are experienced Silicon Valley lawyers who advise entrepreneurs and business owners on a variety of topics. Call our office today to schedule a consultation, or send us an email through our online contact form.